Prime Minister Theresa May is expected to update ministers on her Brexit strategy when she chairs a meeting of her cabinet this morning. However, some sources have suggested she will outline her plans for the future as she struggles to get her Brexit deal passed. It comes after a weekend of speculation about her leadership and claims of a plot to oust her, should she wait to be pushed the Brexit negotiations will collapse and a further extension will be taken, with some hope of a second referendum. There have also been suggestions that Boris Johnson is looking for her to name a date for her departure as PM could boost support for her Brexit deal. Over the weekend the Prime Minister was in her Chequers country retreat fighting for her Brexit withdrawal agreement. Some of her senior Cabinet ministers have denied they are about to oust her from office, others are speculating it is imminent. 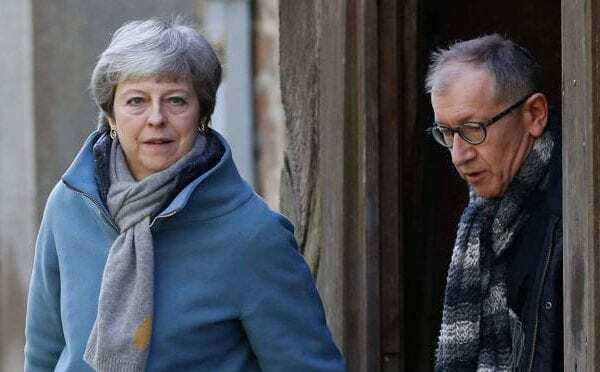 May met with senior party officials and pro-Brexit lawmakers who oppose her deal at her Chequers country retreat after inviting them to discuss a way forward. Boris Johnson, Dominic Raab, Jacob Rees-Mogg and Ian Duncan Smith were reportedly present at the meeting. The government is planning to propose a third motion on its Brexit strategy later today. This may include a further attempt to get May’s withdrawal deal passed, despite two major defeats and a refusal from the House of Commons’ speaker to allow the same text to be presented for a third time without any substantive changes. Prime Minister has also suggested a third vote may not be presented to parliament. If the withdrawal agreement fails or is not presented, the UK government needs to go back to the EU by April 12 with a plan of how to proceed with Brexit. Following this, a cross-party group of lawmakers has put forward an amendment to secure indicative votes in the House of Commons. These may be heard on Wednesday and include softer Brexit options similar to Norway’s current relationship with the bloc. On Saturday, a million people marched through the streets of London demanding to put the vote back to the people. This included Mayor of London Sadiq Khan as the Brexit shambles grips and confuses the country. This is the biggest political crisis since the modern era and British Politics and the nation are divided.